Mr. Jessie James Smith Sr.
Jessie James Smith Sr. was born on May 31, 1953 in Robeson County. He departed this earthly life on November 24, 2018 at his home. He attended Robeson County Public Schools and worked at a knitting factory for many years. He loved to play basketball, cook on the grill, and make jokes. 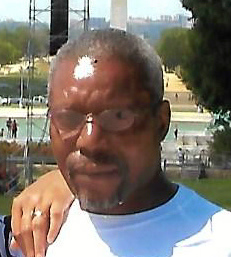 He leaves to cherish his memories, his wife, Nancy Smith of the home, his children, Jessie James Smith Jr. (Nina) of Chesapeake, VA; Adam Anton Smith, and Alexis Smith both of Lumberton, NC; Jermaine D. Smith of Fairmont, NC; and Darlene Smith of St. Pauls, NC; stepdaughter, Stephanie Denise Haywood of Fairmont, NC; his mother, Annie Mae Flowers of Fairmont, NC, eleven grandchildren, five great-grandchildren, two brothers, David Smith Jr. (Sarah) of Sumter, SC; and Charles Smith of Fairmont, NC; five sisters, Mary Lee McCrae of Brooklyn, NY; Geraldine Ruffine of Irvington, NY; Fannie Lee (Edward) of Brooklyn, NY; Myrtle Brayboy (Lawrence) and Polly Page (Michael) both of Fairmont, NC; nieces, nephews and a host of other relatives and friends.